In 2016, Google created the Google Security and Privacy Research Awards as a pilot program. Since 2017, Google has made it much more broad-based to recognize researchers working on the next generation of security and privacy breakthroughs. 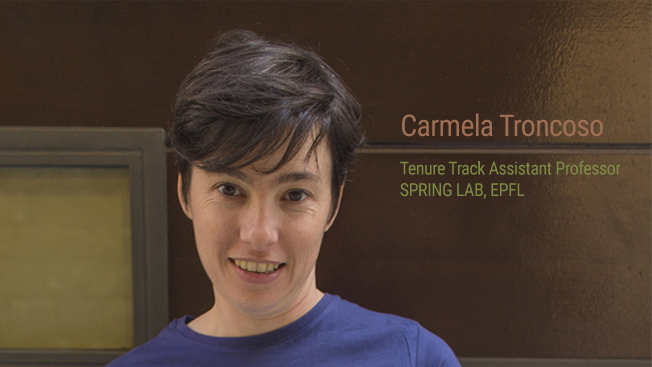 The winners for 2018 have just been announced, and among them is Carmela Troncoso, tenure-track assistant professor in the EPFL School of Computer and Communication Sciences (IC). As head of the Security and Privacy Engineering Laboratory (SPRING), Troncoso has earned the Google distinction for her work on digital privacy and security machine learning. This is a critical aspect because it seeks to protect users from the downsides of machine learning and enable them to “fight back” against its overpowering nature of collecting data. The SPRING lab engages in tempering the capability of machine learning to amass and analyze too much data from users and jeopardize their privacy. To achieve this moderation in machine learning, Troncoso and her colleagues are working on sets of modified data that can be introduced on social media platforms to prevent algorithms from gathering inappropriate information. The team is also developing “protective optimization technologies,” which can tackle problems that are sometimes created by the adoption of machine learning tools. Living in the digital and machine-learning age need not imply that humans have to surrender their right to make decisions or retain privacy. This is the premise of Troncoso’s research. Leading up to the winners for 2018, Google has disbursed $1 million to 12 scholars for their work to improve online security and privacy. The fresh announcement this year adds Troncoso and six other winners to that list, each award receiving about $75,000 in research funding. Troncoso plans to utilize the funds to develop open-access protective technologies, as well as privacy evaluation tools. In the process, she hopes to build a framework for testing and improving the security environment of machine learning-based systems.